The official NASA Mission Patch for Apollo 10. The SSEP Mission 5 to ISS Charlie Brown payload of experiments is named in honor of the Apollo 10 Command Module Charlie Brown. The National Center for Earth and Space Science Education, and the Arthur C. Clarke Institute for Space Education, are proud to present the 23 Mission Patches selected for flight to the International Space Station (ISS) for Student Spaceflight Experiments Program (SSEP) Mission 5 to ISS. The patches will accompany the 15 selected microgravity flight experiments from student teams, representing the 15 communities participating in Mission 5. 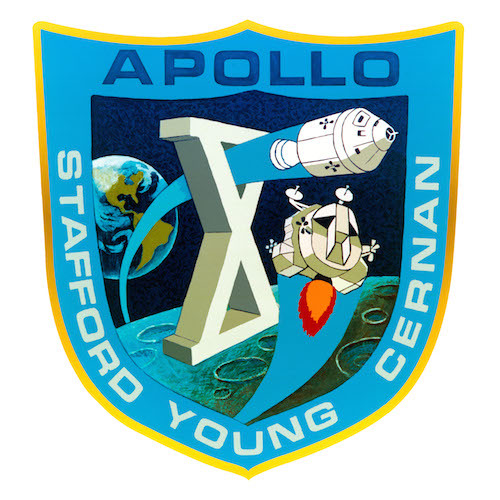 The experiments and patches will be flying as the SSEP Mission 5 Charlie Brown payload, named for the Apollo 10 Command Module. 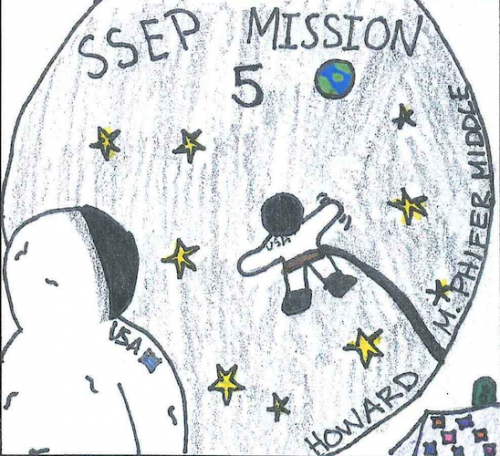 The selected flight patches shown below resulted from local art and design competitions meant to capture the spirit of SSEP in each Mission 5 community. The mission patch competitions foster community-wide awareness and engagement in the Student Spaceflight Experiments Program – an initiative that takes students, teachers, and the community at large to the space frontier through immersion in an authentic research experience. As a historical note, mission patches have been part of human spaceflight since the days of Project Mercury in the 1960s (see, e.g., this page at the NASA History Program Office). The official NASA mission patch for Apollo 10 is shown above. 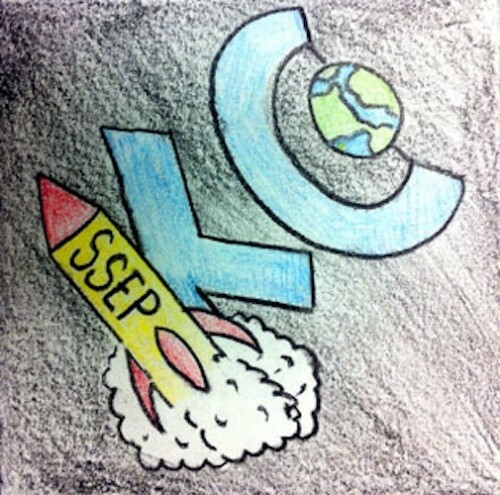 The SSEP Mission Patch competitions therefore allow communities to engage in another authentic aspect of the space program. 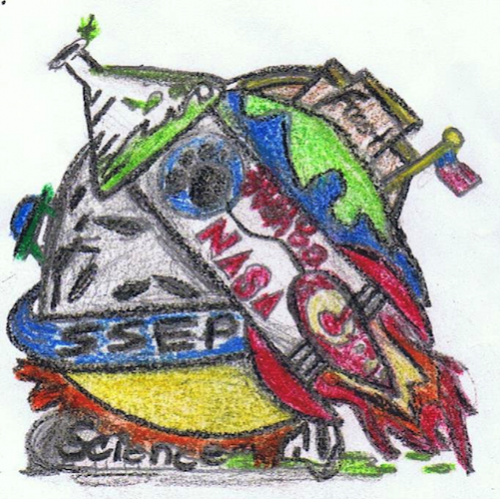 From an education standpoint, the mission patch component of SSEP forges interdisciplinary connections between STEM fields and art and design, so that SSEP is a true STEAM (Science, Technology, Engineering, Art, and Mathematics) initiative. Across the 14 of 15 Mission 5 to ISS communities conducting Mission Patch art and design competitions, 9,300 grade K-12 students were engaged, and 7,169 patch designs were submitted. Judges within the communities selected the 23 patches shown below. 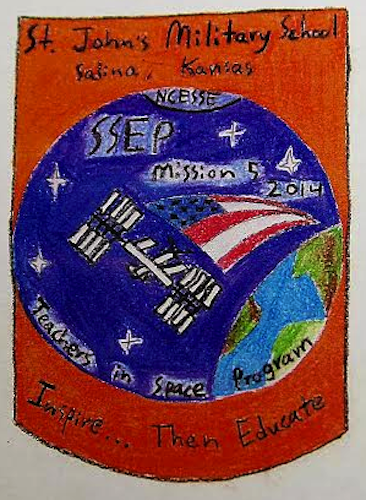 You can also read more about the Mission 5 to ISS Patch Competition at the main SSEP website. The students chose this design to represent the Teachers in Space Community. The competition was open to students across the Teachers in Space community, grades 6 – 12. 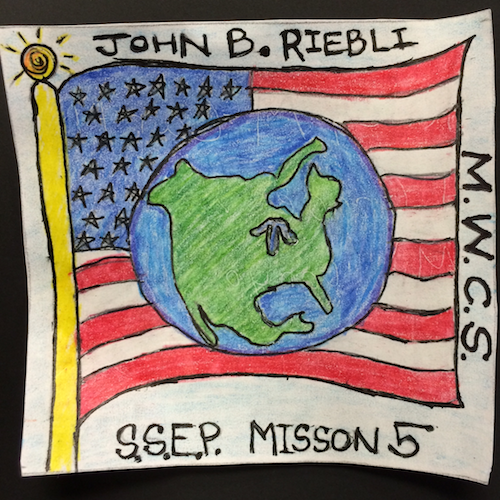 This patch from St. John’s Military School in Salina, Kansas, was chosen out of 60 submissions from over 240 students. The patch features the school colors as the backdrop for a scene of the International Space Station orbiting the earth. 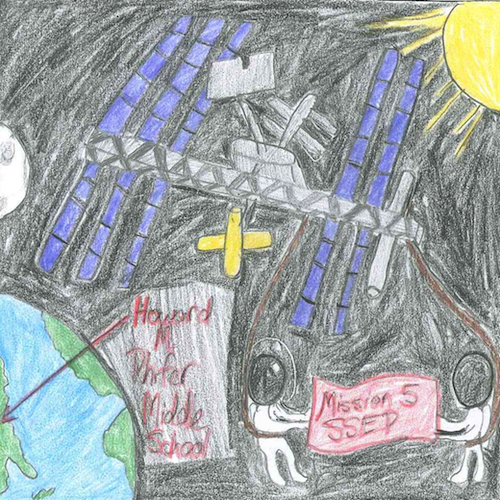 The sponsoring organizations NCESSE and SSEP are acknowledged alongside the ISS in space. 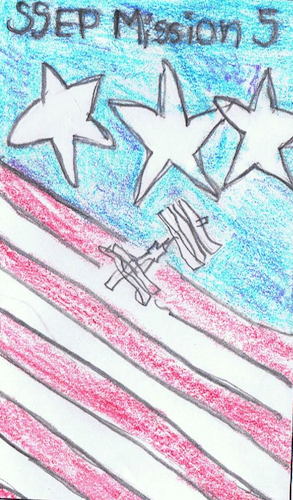 The American flag embodies the spirit of exploration that the Student Spaceflight Experiments Program promotes in American youth. At Northland Preparatory Academy there was close to five hundred students in grades 6-12 that created a total of 227 designs for the mission patch art and design contest. The halls were lined with the submitted pieces and the entire student body voted on their favorites. The top ten designs then went on to an online polling site where parents, faculty and community members could vote for the one patch that best embodied our school spirit and the upcoming Mission 5 to the International Space Station. 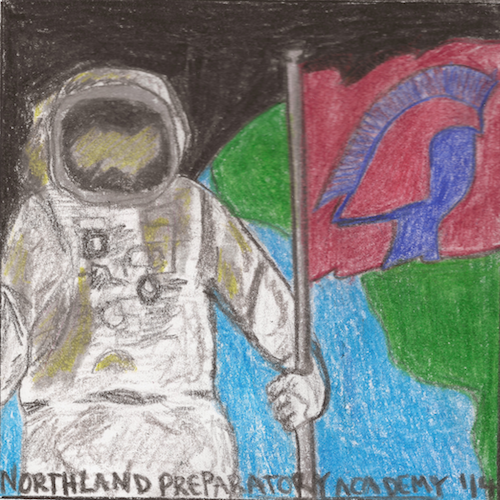 The winning patch shows an astronaut in space holding a Northland Preparatory Academy flag with the earth in the background. The patch represents our first time in space and is reminiscent of man’s first steps on the moon. 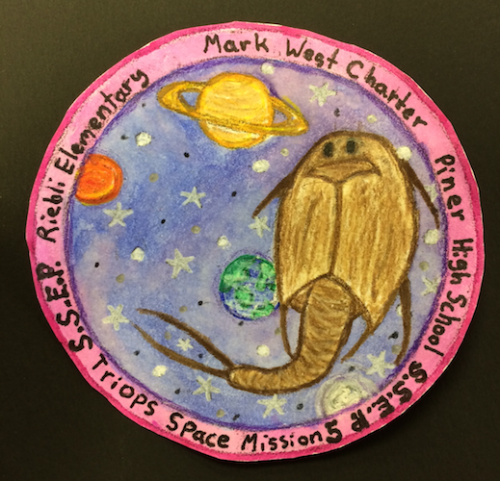 Riebli Elementary School, Mark West Charter School and Piner High School in Santa Rosa, California had a combined total of over 800 students involved in the Mission Patch Design Competition K-12. Hundreds of patches were proposed and drawn up. When the complete documented designs fitting all requirements were collected, 253 final entries were considered. Excitement grew as students, parents, staff and community members voted on their favorite patch during three days of voting in January. Artists waited with anticipation as Student Council members counted and tallied the results. Two winning patches were selected, one from Riebli’s K-6 designs and one from the 7-12th grade entries. 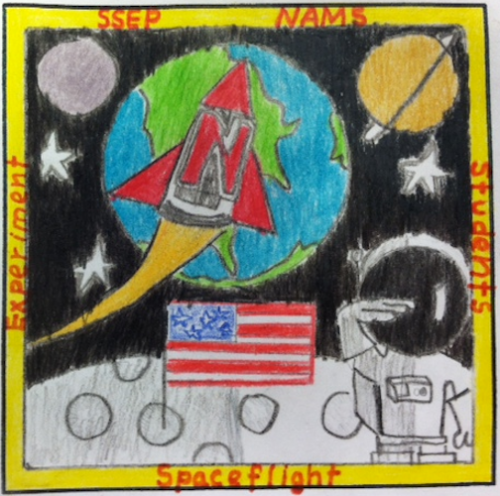 Congratulations to Riley McCarthy (4th grade) and Halei Trowbridge (7th grade) who designed the winning patches for SSEP Mission 5 Patch Design Competition in the Santa Rosa, CA area! For our competition, approximately 295 students in grades 9-12 were invited to create patches. The students were under the direction of our original SSEP science teachers as well as one of our art teachers. Many of these students were not a part of the original SSEP experiment design process. Of those 295, 77 individual patches were received and 31 were chosen as finalists. Those 31 designs were scanned and put into a Google form which was circulated via email to our entire community, including staff members, parents, students, and community members. Each individual was able to vote for their favorite designs. 338 votes were collected, with our winning patch receiving 46 votes. We are proud to have a design that reflects our school spirit, space exploration, our winning experiment, and a bit of youthful humor. Hillsborough County Public Schools opened the Mission 5 Patch Competition to 7,000 elementary school students in our community, which represented 12 schools. We divided the competition to Kindergarten through Second Grade students and another for Third through Fifth Grade students. Over 2,100 students drew a design and 652 patches met the requirements for judging by a committee of teachers and community leaders. The Kindergarten through Second Grade Mission Patch winner is a First Grade student from Kingswood Elementary School in Brandon, Florida. His name is Ryan Devilbiss. The winning patch from the Third Grade through Fifth Grade competition was Tommy Aviso, a 5th grade student from Frost Elementary in Riverview, Florida. 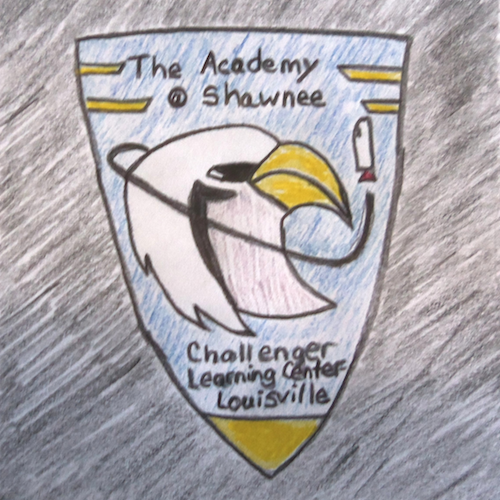 The Academy @Shawnee, a school of 39 middle school students and 500 high school students, opened up the patch design competition to the entire school; teachers, faculty, and students! The school announced 2 separate competitions: Middle School (Grade 6) and High School (Grades 9-12). 17 entries were received for the Middle School competition and 13 entries were received for the high school competition for a total of 30 Mission Patches entered. A judging panel chose the top 2 patch designs. The High School winning design, by Elizabeth Bates, depicts a racehorse, representing the rich heritage of Kentucky. 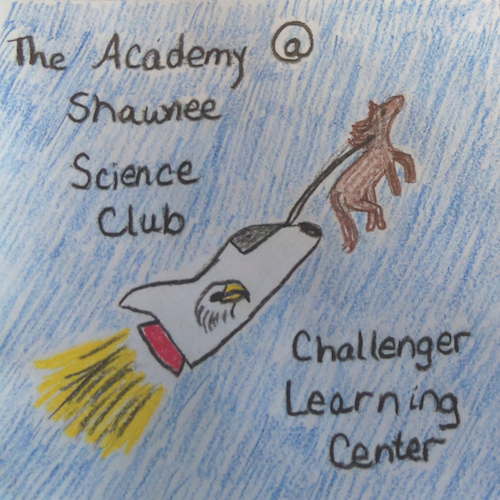 The shuttle represents the Challenger Learning Center’s mission and the Golden Eagle is the mascot of the Academy @Shawnee, as together, we shoot for the stars. The Middle School winning design, by Ronnie Turbeville, depicts our Golden Eagle on a shield orbited by the rocket, headed to the ISS. 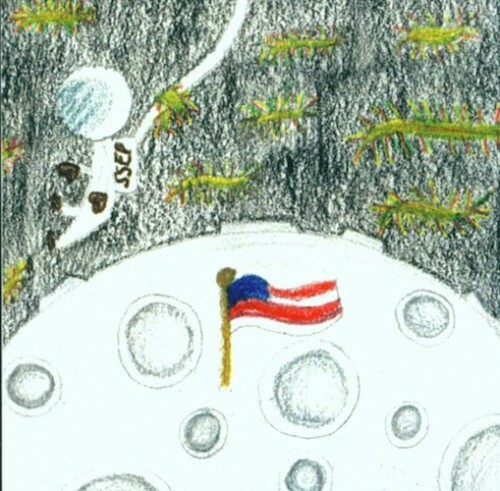 The Mission Patch Art & Design Competition was split into two competitions. The first at Monty Tech, afforded all students in grades 9 through 12 the opportunity to participate. 53 patches from 52 students were voted on by students, teachers, administrators and staff. The winning patch was created by Jacob T. Lutter, a sophomore in our Graphic Communications trade. The second patch competition was opened up to the elementary schools in our surrounding communities. We received 44 patch designs from students in three different schools. The winning secondary patch was designed by 4th grader, Shannen Cooper from Varnum Brook School, Grade 4. Our students really enjoy the possibility of having their artwork really be “out of this world”. 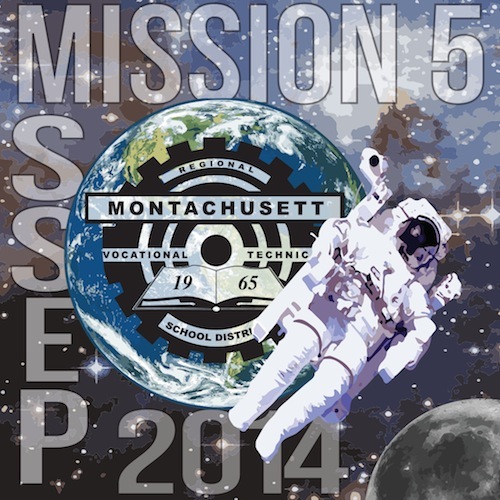 Students in the community of North Attleborough had the exciting opportunity to take part in the Mission Patch competition in support of our winning Student Spaceflight Experiment Program finalists. The competition was open to students in grades 3-8 and was split into 2 competitions: 187 patches were submitted at the elementary level and 394 patches were submitted at the middle school level for a total of 581 students participating community-wide. The competition was in conjunction with the schools’ art departments and entries creatively connected community pride with space exploration. All entries went through a level one review. High school students in both the art and science clubs then judged finalists. The Elementary winner, from Amvet Boulevard School, Grade 4 was: Guhan Nandakumar. The Middle School winner, was 6th grader: Lindsay Spratt. Student Spaceflight Experiments Program Kansas City was open to four charter schools and one parochial school located in Kansas City, Missouri. 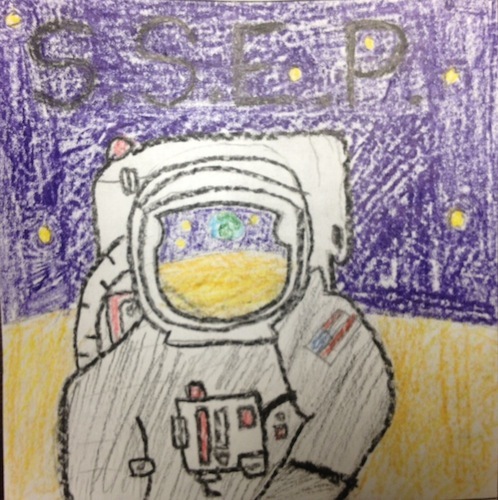 Over 1,200 students in grades 2-8 were offered the opportunity to participate in the SSEP KC M5 Mission Patch Design Contest and over 850 patches were submitted by 750 students. 27 patches were selected as the local finalists and the winning patch was selected at SSEP KC M5 Celebration in January, 2014. 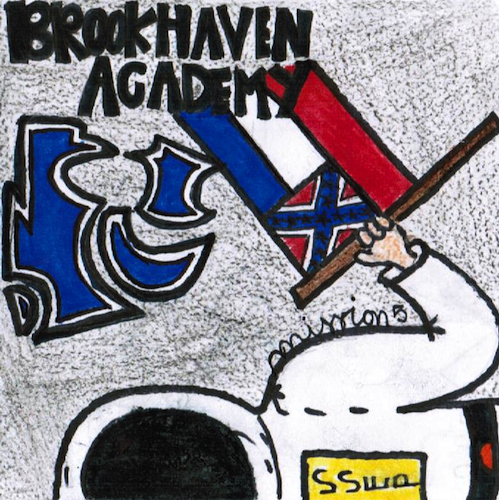 Over four hundred Brookhaven Academy students in grades 1st through 12th competed in the Mission Patch Art and Design Contest. Through the direction of art teachers Kelly Allen and Carina Stewart the contest was a huge success, with over 420 mission patches received. Brookhaven Academy faculty voted on the winning design. 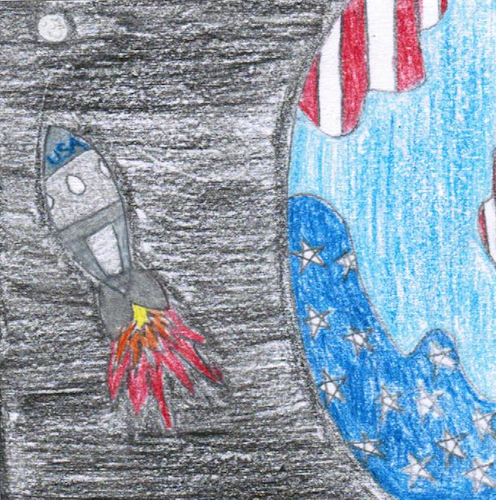 Julie Anna Bartram, a 6th grader, won the elementary competition with her design featuring a space shuttle. The winning design from the 7th-12th grade competition came from Anna Morgan Smith, a 9th grader. 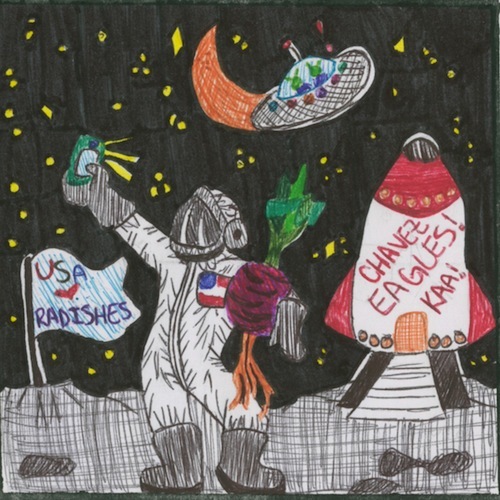 Her design features an astronaut holding the Mississippi State flag and our school emblem, the cougar. The Pennsauken Patch Design Competition invited all 5,500 K-12 students from across the district to participate. Some schools chose to generate the patches out of the art classes, while other schools’ individual teachers coordinated the efforts. Many teachers made the patch competition a requirement in class, resulting in over 200 entries for phase one review, however, the district or phase two review committee requested that finalists represent each school. The review committee received 15 finalists, representing the seven elementary schools, and one or two students from each grade, K-12. The review committee narrowed down and made the selections based on first, the connection to the Pennsauken Public Schools and the Mission 5 to the Space Station. One patch was chosen from the pool of entries from grades K-5 and the other from grades 6-12. The winners were: Amanda Chin, 5th Grade – Pennsauken Intermediate School and Medina Talebi, 8th Grade – Howard M. Phifer Middle School. 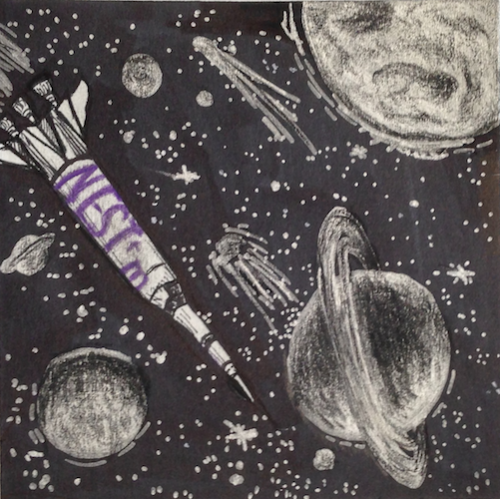 The Mission Patch Art and Design Competition was open to over 400 students in grades 6-8. We received a total of 65 patches from our local competition representing participation from 127 students. Many of the students worked in small groups or in pairs. Jenna Jung an 8th grade student won the competition. 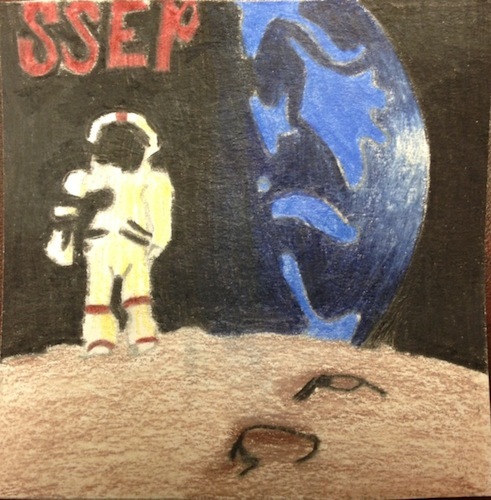 Over 1,400 students from South Orangetown Central School District in grades K – 12 generated over 1,400 patches for the SSEP Mission Patch Art & Design Competition. Art teachers in our three elementary schools had every student participate in the contest during their art class. At the middle and high school level, students were informed of the contest via their art, science, and gifted and talented class. Art teachers narrowed down the submissions based on a rubric focusing on design, creativity, effort, skill, and content. 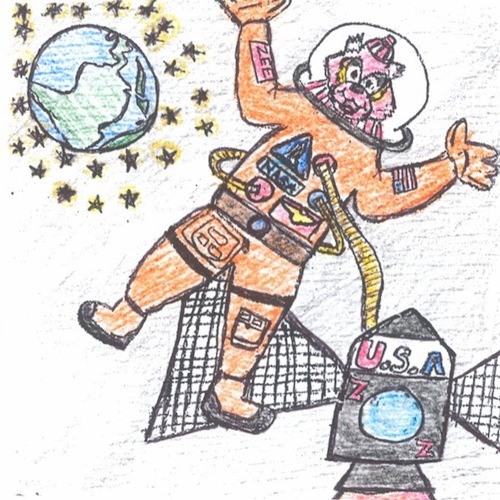 The final Mission Patch chosen representing grades K – 4 was designed by Olivia Jones, a fourth grade student at Cottage Lane Elementary School. 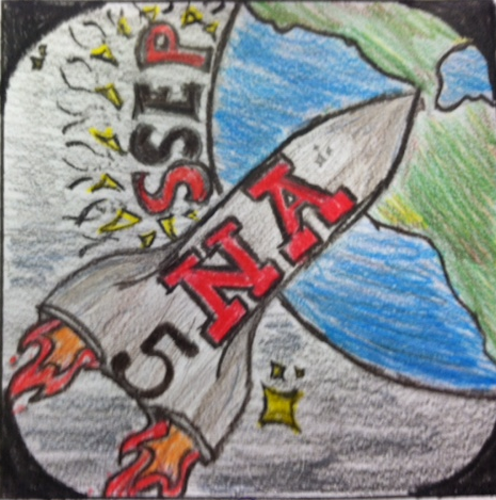 The final Mission patch chosen representing grades 5 – 12 was designed by Carlee deFrancesco a 9th grade students at Tappan Zee High School. 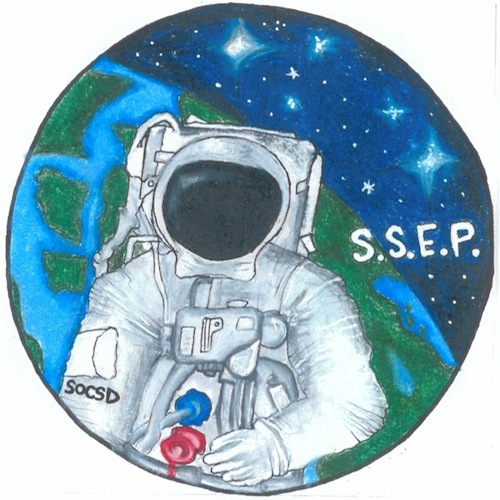 Guilford County Schools expanded the excitement of SSEP by holding two Mission Patch competitions, one for high school (grades 9-12) and one for elementary school (grades K-5). Holding two competitions for these groups is developmentally appropriate. The opportunity to participate in the competition was offered to 33,843 elementary school students and 23,411 high school students. Notification of the competition was sent to elementary and high school art teachers. We engaged at least 1,000 high school and 1,000 elementary school students. We received 809 Mission 5 patch designs submitted to our patch design judges. The competition emphasized the 21st century skills of creativity, cooperation, and collaboration. With students formally competing against each other there was an excitement and curiosity that increased student participation from our community and engaged students in conversations about space, science, technology, engineering, math, and design.